Before we continue, please note that this post includes affiliate links to OddsMonkey. In my opinion, Each Way Betting would not be possible without the brilliant Each Way Matcher Tool. If you are interested to try it out, please consider following the link. 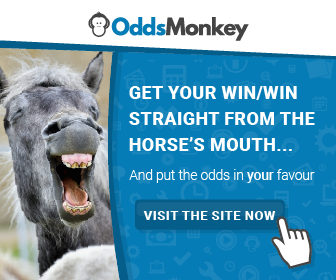 You can try the features out and OddsMonkey offer a full 30-day, 100% money-back guarantee if it’s not for you. With just one month remaining to close out the year, would December bring festive joy or would results go up in smoke? Between the Christmas festivities and my finishing work for the year in early December, the month was always going to be a quiet one on the betting front. With three little ones at home, daily trips out to entertain the little blighters always conflicted with putting bets on, so my month concluded on the 18th December. In total, just 144 bets were completed across 13 days in what was easily my least active month yet. That’s an average of 11.1 bets per day, with only 3 multiple bets placed. In total, I turned over significantly less volume totalling just £1,960 through my chosen bookmakers, but this still yielded a very 20.8% return on investment (ROI). Of course, there are the monthly OddsMonkey subscription fees to deduct, leaving an overall net profit of £390 (+18.4%) for December. So with December marking the end of the year, let’s quickly recap what this all means for the results since inception with six completed months under our belts…. 1,795 total bets completed across 121 days. That’s an average of around 14.2 bets per day. The best daily profit remains £342, and the worst down day was -£240 (both from November). Average daily profit ticked up to £17 overall. Net of all OddsMonkey subscription costs (6 months), overall profit is now £1,914 (or +378%). As shared during the month here, I have setup a dedicated community for Each Way Betting should you wish to connect and chat with other people following the strategy. It has been great to see a number of people join and get involved and I hope we can continue to grow numbers as we share and discuss results, strategy and other tips and tricks. So, that’s me! How are you getting on with Each Way Betting? I’d love to hear how you’re getting on. And don’t forget the Full Guide to Each Way Betting if you need any guidance.